Found on Queensland’s sunny Gold Coast, Broadbeach is a holiday hub for surfers, golfers and shopaholics. Between Mermaid Beach and Surfer’s Paradise, Broadbeach gets almost 250 sunny days each year, offering year ‘round moderate temperatures and drawing guests from summer through to winter. 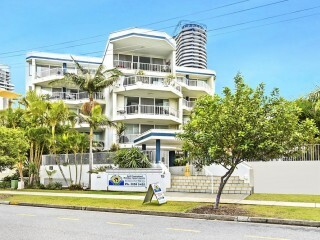 With patrolled swimming zones, beachfront parks, and barbeque facilities, the area is a popular holiday destination for families, and an equally popular choice for school leavers during Australia’s largest school leavers celebration on the Gold Coast each December. Visitors to the area enjoy activities such as kayaking and canoeing, paddle boarding, surfing, kitesurfing and windsurfing, with local businesses offering equipment hire and instructional sessions. Broadbeach contributes a huge 436 hotels, resorts, and food and beverage establishments to the region’s 2,700 accommodation and food service options, providing employment to approximately 11.4 percent of the local community. With visitors travelling from both interstate and overseas, the local Gold Coast Airport caters to both domestic and international flights. 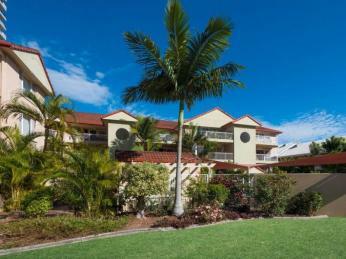 The region is also serviced by Brisbane airport, which is a short 65-minute drive from Broadbeach. Guests commonly travel not only for the picturesque beaches, but for nearby theme parks, sporting attractions, and biodiverse national parkland. 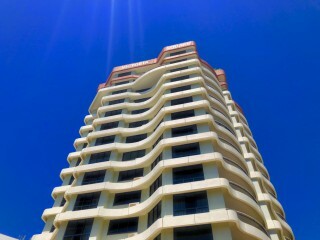 Broadbeach also holds several popular annual events, drawing visitors from near and far. 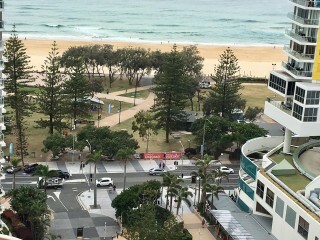 Events such as the Blues on Broadbeach Music Festival, with a 16 year-long history, draws over 125,000 visitors to the area each year, keeping local accommodation providers, as well as food and beverage services busy. Other popular local events include the pop culture and film festival QPOW on Broadbeach, the Broadbeach Country Music Festival, Broadbeach Jazz Weekend, Broadbeach Christmas Carols, and the Opera in the Park. While hotel occupancy has dropped to 71.5 percent in recent months, Broadbeach motels are expecting high rates of occupancy throughout 2018, with the Commonwealth Games being held on the Gold Coast, and $1.5 billion being invested in local infrastructure. The investment will see upgrades made to the Pacific Fair shopping centre, expansion of a casino and hotel, as well as high rise apartment buildings, providing more accommodation options and holiday activities for guests travelling either interstate or internationally. 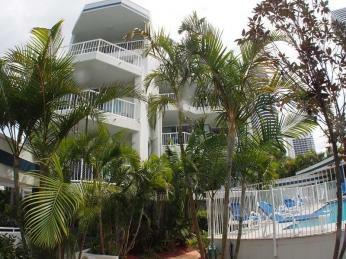 Please see our current selection of Broadbeach Motels for sale below.